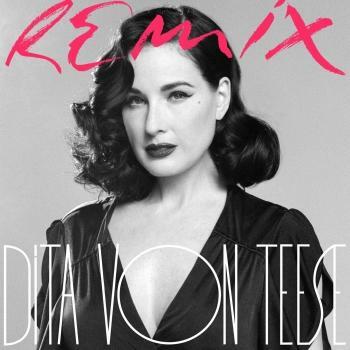 This remixed album of Dita Von Teese’s debut record is a whole alternative version of the album, freshly delivered by an eclectic range of new talented producers who joined around Dita's burlesque known figure: Bullion, Jam City, Kornél Kovács, Varnish, La Piscine, Muddy Monk, nit, Adesse Versions and AAArmstrong. As with Sebastien Tellier on the original album, each of them in their own way brought Dita into their personal world. Great electronic music enthusiast, Dita Von Teese is very happy to put this remixed album in light, which she’s as proud and passionate about as for the original record.